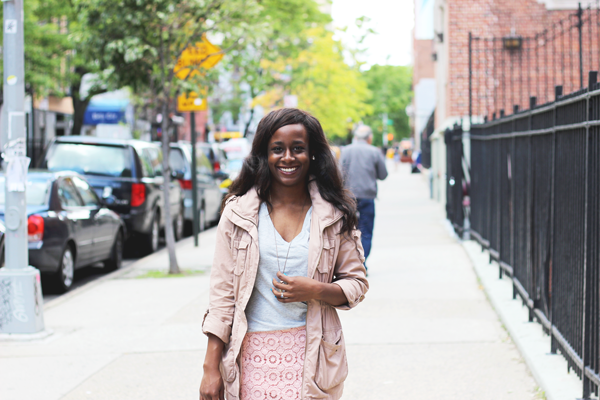 Ahhh, the midi skirt- such a pretty, ladylike style. I bought my first midi skirt from H&M a few years ago and I remember being nervous that I wouldn’t be able to pull off this trend. Just as with maxi skirts though, it’s all about finding the right length for your height. 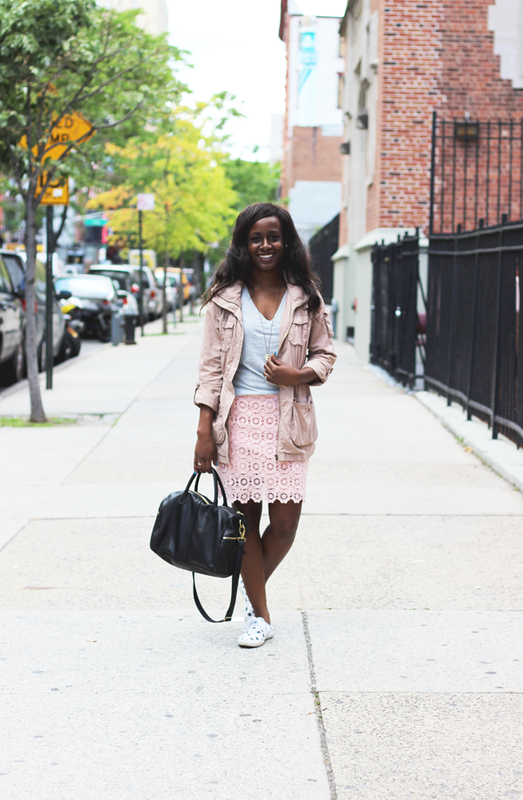 The skirt I bought was a lovely blush color in tulle and I immediately felt more ladylike as soon as I put it on (you can see me wearing it in this post from nearly 3 years ago!). That skirt was a bit of an impulse buy and I thought I’d only wear it occasionally; however, I found that it was really easy to dress up and down and I wore it many times to work and at night. At some point a couple of years ago, I pulled it out of my closet one morning and discovered that there was a huge stain streaking down the front of the skirt. I tried to gently scrub it out (since the material is so delicate), but to no avail. I’m still not sure what happened and I was pretty sad that it was damaged because I loved that skirt. I think I still have it tucked away somewhere in case someone can one day work some magic on it. – a little leather to balance the ladylike cut. – a crop top (!?!) 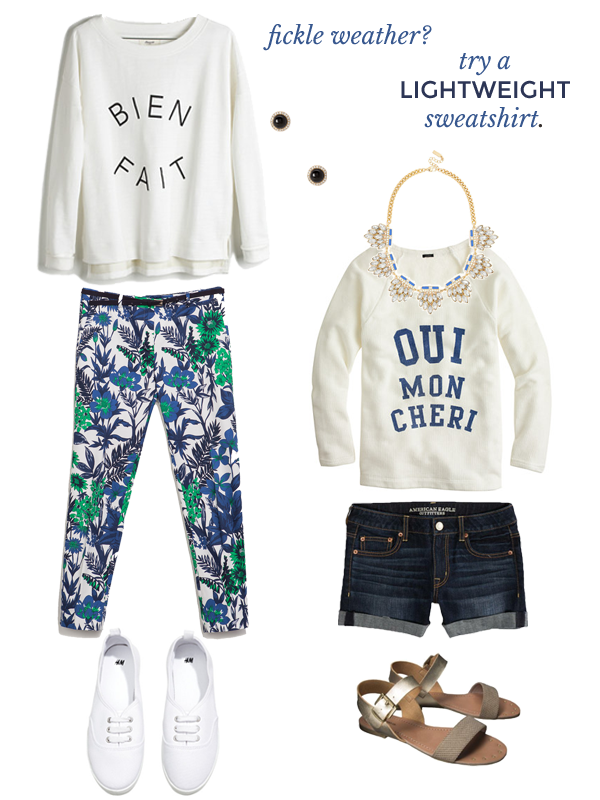 and denim jacket for a sweet springtime look. 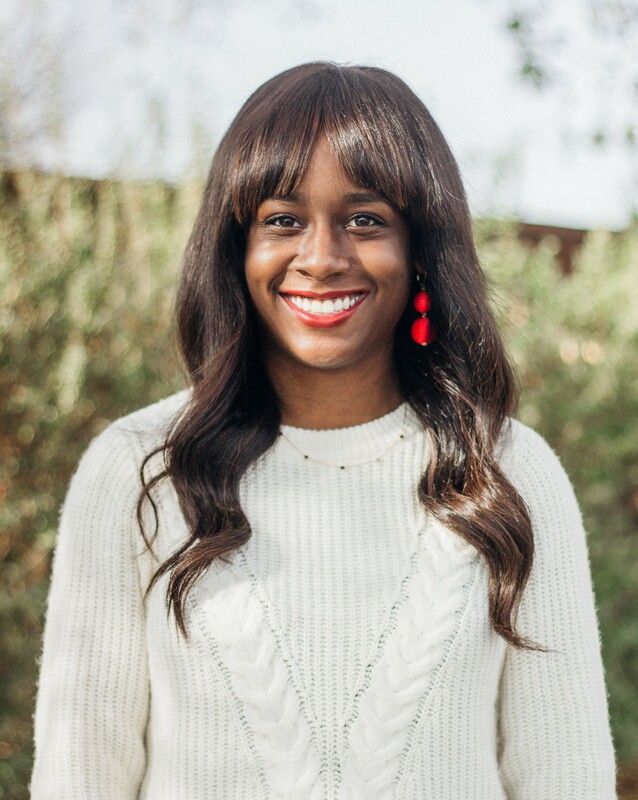 – a little lace and a statement necklace. – an eye-catching belt and strappy heels (or more likely, strappy sandals). – leopard, because leopard goes with everything. – a classic white silk blouse. I hope you all have a fun Memorial Day weekend! I might take the holiday off here on the blog, but I haven’t quite decided yet. Either way, I’ll see you back here sometime next week! Tell me: How would you wear a midi skirt? Everyone wants soft skin, right? 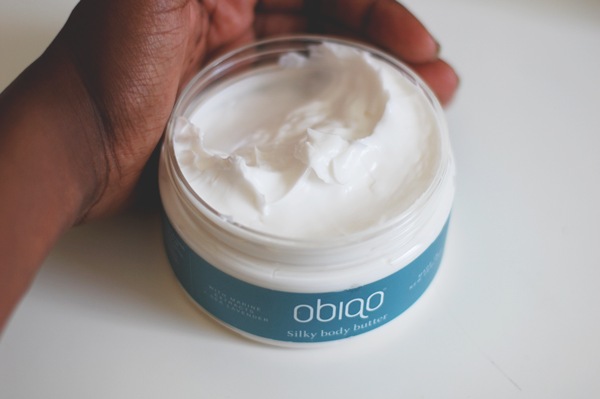 I’m always looking for new products that will leave my skin feeling soft and moisturized, so when Obiqo reached out and introduced me to their line of products, I was looking forward to trying them out. I hadn’t heard of the company before (they’re based in New Zealand), but their products are inspired by the sea and include marine extracts. Let’s start with the body wash. On the bottle it says that it will leave your skin feeling fresh, clean and silky smooth. Each time I used this, I did feel that my skin was fresh, clean and smooth, although not particularly smoother than usual. This is a gel body wash and with a few pumps I was able to get a nice lather. It did feel cool and refreshing in the shower and it didn’t leave any sticky residue. I will say that the scent is not my favorite- it’s a bit too herbal for my tastes. Thankfully the scent is light and I found that it didn’t linger too long after I finished showering, particularly if I used the body butter afterwards. In my opinion, the body butter stole the show. The label states that it will deeply moisturize your skin and I completely agree with that statement. I think I’ve mentioned before that I have dry skin so I do apply lotion on a daily basis and often multiple times a day. I felt that this body butter did a great job of moisturizing my skin. I only applied this all over my body once in the morning and noticed that my skin stayed hydrated throughout the day and I didn’t need to reapply. It is a body butter, so it has a thicker texture and I did have to work it into my skin a bit. When first applying, it felt a little sticky to me and I though, “uh oh,” but after waiting 20 seconds or so for it to sink in, the sticky feeling went away. I much prefer the scent of the body butter over the body wash- it’s light and fresh with a hint of the sea. If you’re curious about their products and want to learn more, you can sign up for their newsletter here. Also, if you want to try these out for yourself, you can get 5% off 2 or more items with the code OBZT2RHI or 10% off 3 or more items with the code OBIDKUCG! Tell me: What’s your favorite scent for body wash or soap? 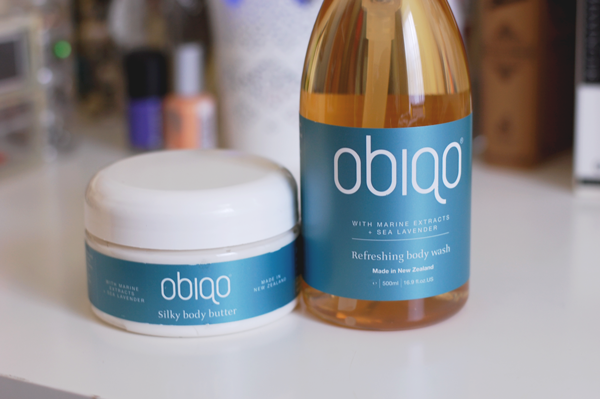 Disclaimer: These products were provided to me by Obiqo for review purposes, but you’ll always read my honest thoughts and opinions about the products I review.